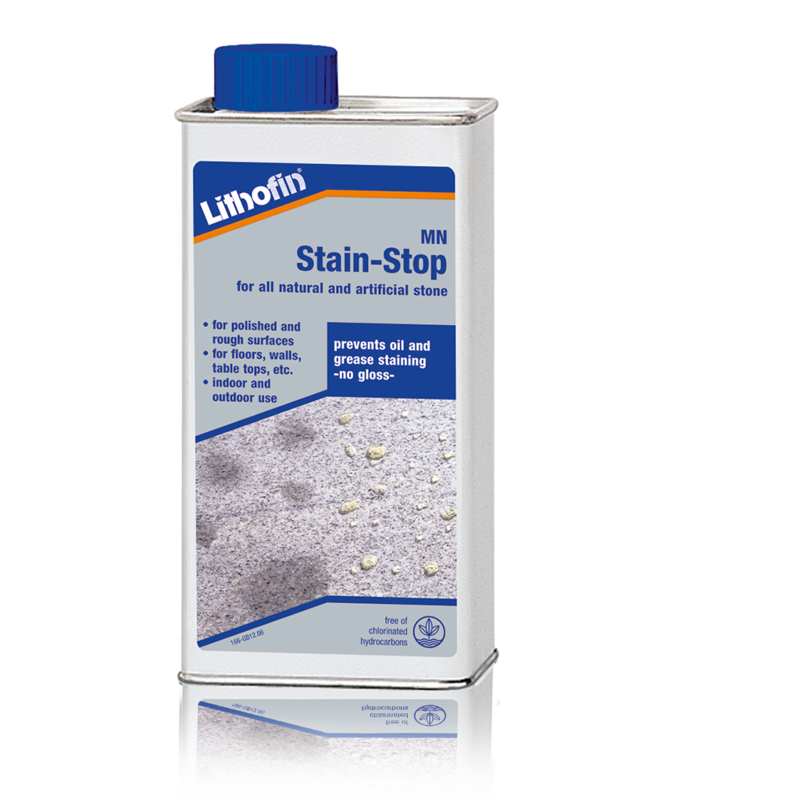 Originating in 1953, Lithofin is synonymous with specialised products that represent the highest technical standard for cleaning, protecting and maintaining surfaces. 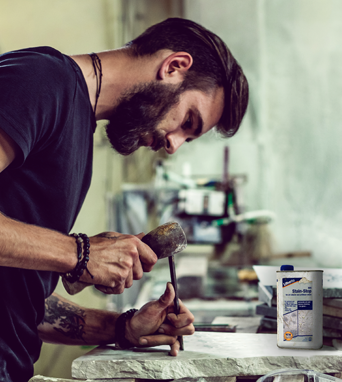 First developed by Stingel Chemie in Stuttgart, Germany, Lithofin has an extensive range of products ideal for natural and engineered stone, ceramic and porcelain tiles, concrete materials and external pavers. 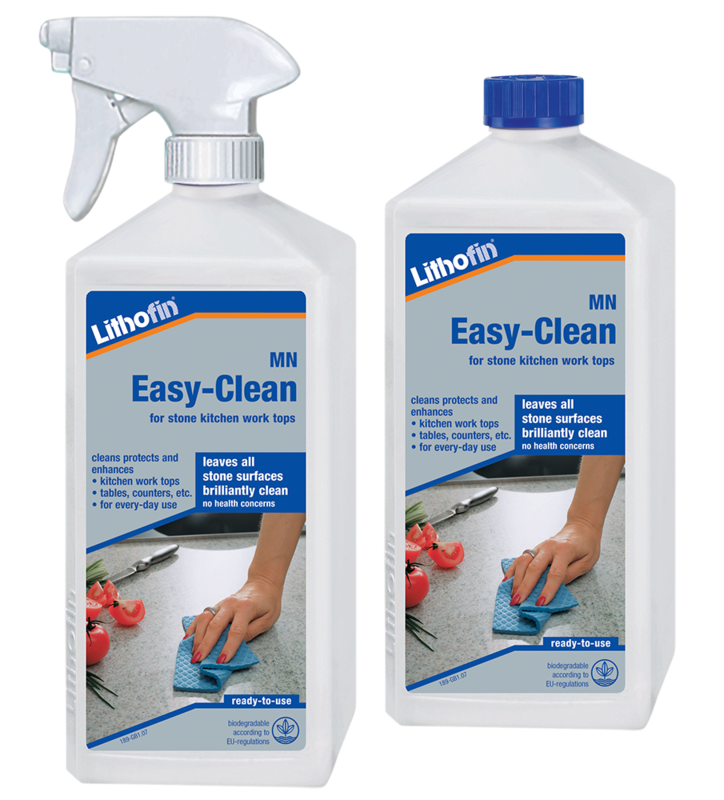 Designed for professionals but used by all, Lithofin is the European standard for cleaning, protecting and maintaining stone and tile surfaces. Specifically designed for cleaning newly installed ceramic and porcelain tiles, this product is ideal for the effortless removal of grout residues, builders’ dirt, mortar, rust, lime, efflorescence and other hardened dirt layers. Ideal for every-day cleaning of small stone surfaces such as kitchen benchtops, tabletops and bathroom vanities. MN Easy-Clean leaves your surfaces hygienically clean, streak free; as well as enhances colours and leaves a pleasant aroma. Available in both a convenient 500 ml spray and 1 litre refill bottles. We have a choice of Lithofin Resellers and Certified Lithofin Applicators across Australia. Discover a Lithofin Reseller or Applicator near you today! 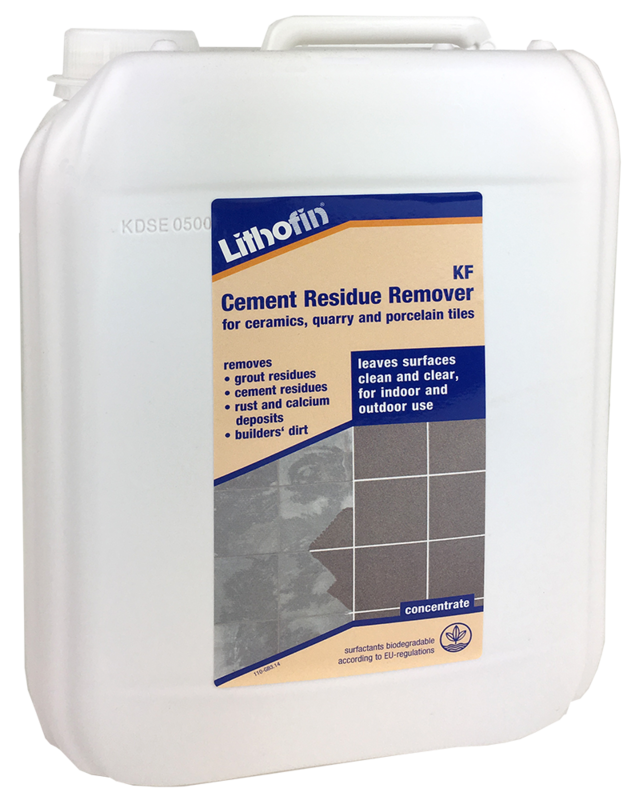 REMOVE that RESIDUE with LITHOFIN’s CEMENT RESIDUE REMOVER! This specialised cleaner will remove any unwanted cement/mortar after your install. Our Lithofin sales consultants are experts in cleaning, protecting and maintaining stone. Let our experienced experts make your stone last a lifetime. You can even send us samples or photos of your stone to recommend the best product for you.